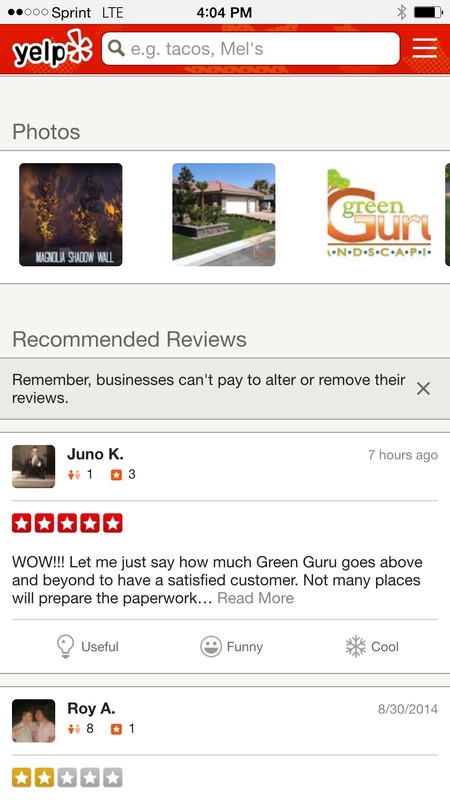 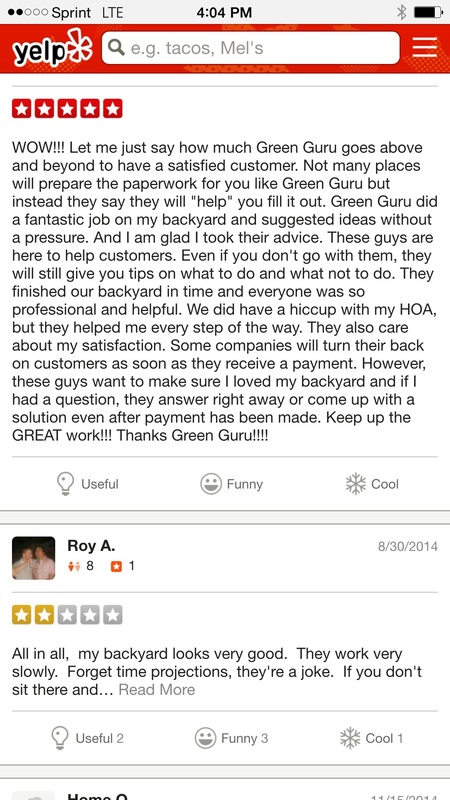 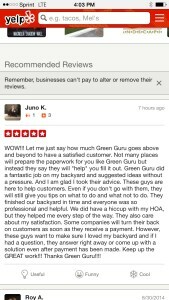 Here are some screenshots of one of our five star positive reviews from one of our clients while it was at the top of our Yelp business page. 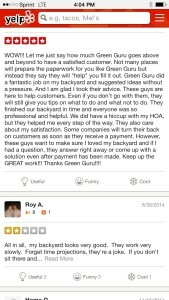 I find it very amusing that this positive review, along with the other positive reviews end up getting buried at the bottom of the page in a very hard to find gray shaded out link. 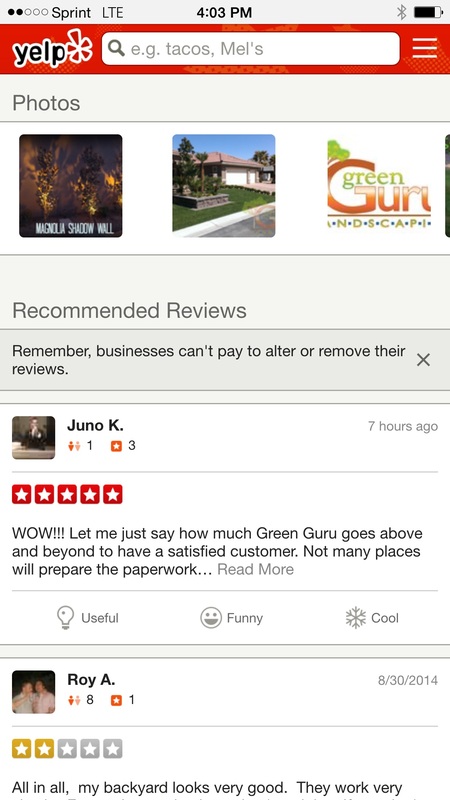 I’ve found many articles online about Yelp and how many business owners are saying that Yelp is extorting businesses by allowing negative reviews to stick to the top of the correlating business while the positive reviews get buried at the bottom. 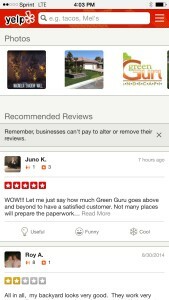 The reason for the extortion claims is that the correlating business is not paying Yelp for advertising on Yelps site and therefore Yelp allows for negative reviews to stay at the top. 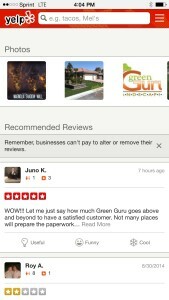 What I can tell you from my experience, at the time of this writing is that our company is not currently paying Yelp for advertising and the thing that I find amusing is that our experience with Yelps website is congruent with many other businesses claims about Yelp and extortion.